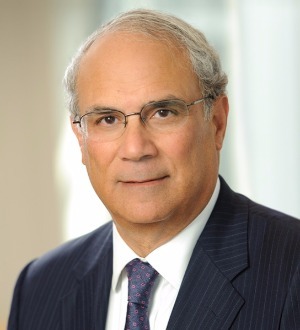 Ralph Arditi represents both financial services firms and industrial companies in a variety of matters, including mergers and acquisitions, securities, corporate restructurings and general corporate matters. The majority of Mr. Arditi’s practice involves financial institutions, financial sponsors and other financial services organizations. He is a member Skadden, Arps’ Financial Institutions Group, which deals with the full spectrum of legal issues arising in the financial services industry. Mr. Arditi’s practice in this area focuses on mergers and acquisitions and other transactions involving public and private financial institutions, fund sponsors and broker-dealers. He also has represented clients in a number of significant U.S. and cross-border public offerings and private financings and recapitalizations. Mr. Arditi has represented Affiliated Managers Group, American General Corporation, BlackRock Financial Management, Citigroup Inc., Credit Suisse, C.V. Starr & Co., Franklin Resources, Goldman Sachs, INVESCO, Lazard Fréres, Lincoln Financial Group, Merrill Lynch & Co., Metropolitan Life Insurance Company, National Australia Bank, Nationwide Mutual, the Pioneer Group, Principal Financial Group, Prudential Financial, Putnam Investments, Société Générale, TCW Group, UniCredit S.p.A.,Waddell & Reed Financial, Inc. and many smaller firms in their financial services transactions and a variety of other corporate, securities and regulatory matters. He also has represented a number of private equity, hedge fund and other private fund sponsors in forming their funds, structuring ownership and compensation arrangements, implementing investment strategies and dealing with regulatory questions. Such clients have included APAX, AQR Capital Management, Caxton Associates, Crestview Partners, L.P., Joseph Littlejohn & Levy, Magnetar Capital Partners, Pinebridge Investments and Two Sigma Investments. Mr. Arditi also handles compliance and regulatory issues relating to publicly traded and privately held financial services firms, including the development of appropriate compliance policies and procedures, the conduct of compliance reviews and dealing with regulators on compliance issues. Mr. Arditi has been a frequent speaker on financial services industry and mergers and acquisitions-related topics and has served as an expert witness and an arbitrator in a number of proceedings. He repeatedly has been listed in The Best Lawyers in America as one of the leading corporate lawyers in New York City.